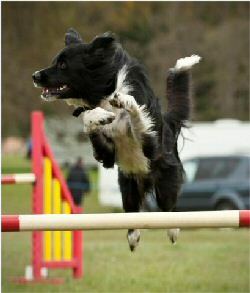 Rescue Agility Scotland welcomes all rescued and ex-foster dogs, as well as dogs rehomed home-to-home. Only dogs registered with the Kennel Club and in the ownership of a person with a permanent main address in Scotland may be registered with Rescue Agility Scotland. 2013 was a year of ups and downs for Rescue Agility Scotland. One of the founders, Kerstin McDonagh, was undergoing medical treatment for much of the year, and it fell to Dawn Greer go keep the League going, something she did with both skill and dedication. Alastair Baillie also lent a hand. Without their hard work, Rescue Agility Scotland could easily have fallen by the wayside. Instead, not only did they manage to organise the second RAS League presentation in May, but also the first-ever rescue dog final in Scotland. The third presentation of League awards will, as usual, take place on Sunday, May 4 at the Woodside DAC. This will be followed by a final at the Clyde Valley DAC's show in August, to which dogs that have achieved 100 points or more in the previous year will be invited. Rescue Agility Scotland would like to welcome everyone to attend both events to show their support for and appreciation of rescue dogs in agility and the handlers who work so hard to bring out the best in them. 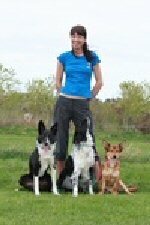 Rescue Agility Scotland welcomes all rescued and rehomed dogs and their owners/handlers. The membership fee is £3 for the first dog and £2 for each subsequent dog belonging to the same handler. All monies are ploughed back into the league and final, which are run for the purpose of promoting rescue dogs in agility and recognising the hard work and dedication of their owners and handlers. For more information, league rules and details of to become a member, please visit the Rescue Agility Scotland website, rescueagilityscotland.webs.com or email rescueagilityscotland@gmail.com. Day-to-day information is also posted on the Rescue Agility Scotland Facebook page. I rescued Sweep when he was 18 months old from a farm in Kincraig. He was no use as a working sheep dog so his owners decided to rehome him. When I first got Sweep, he was very nervous and terrified of everything, but starting agility really helped to build his confidence and bring him out of his shell. Sweep progressed from grade 1 to grade 6 in only 10 months, and will be representing Scotland at the World Agility Open Championships in Italy in May, as a member of Agility Team Scotland. 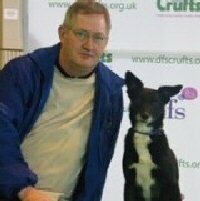 Molly has been with us for around ten years and has competed in agility for nine of those years. She came to us following a desperate plea from a friend who worked at a local vet as Molly was no longer wanted at her current home. Despite looking for a home for Molly, no one wanted to take her due to her being highly excitable. To say it was easy to bring some calmness to Molly's life is an understatement as it took almost a year. To achieve this Molly had to be exercised constantly to tire her out. We took up agility almost immediately which she took to instantly. The only problem was she got so excited that she would bite your had so hard that on one occasion I had no feeling in it for the rest of the day. But providing Molly with ground rules, care and understanding, and treating her no differently to our other four dogs led her to figure out where her boundaries lay. Molly has gone on to be very successful in Agility, competing at Crufts, winning a CC and this year she has won the Scottish Agility League Medium category for the 3rd year in a row. Whether we do good or not, she always comes out of the ring believing she has pleased me and has had lots of fun. She is one in a million. Molly is now one of the main calming influences in our household and looks after the younger dogs. What a turnaround! Charlie is a rescued Jack Russell Terrier from a broken home. I got him en-route to the RSPCA, aged between 6-12 months. He was fat (full of worms) not house-trained or, in fact trained in any way, not inoculated. He had been running loose and had no knowledge of dog food but he knew all about crisps. For agility training a tennis ball became the 'must have' reward and he quickly learned to do anything to get it. Jumping into my arms after each run has always got him his ball quicker and it became part of a fun routine - though not so good when he is muddy! Charlie is a tiny dog with a massive personality, full of love and mischief and I am so lucky that he is mine. This is the third time he has topped the Rescue Agility Scotland Small-dog league table, and he also helped bring home the Bronze medal for Scotland in the team event at the first-ever World Agility Open Championships. Wisp came to me through Northern Springer Spaniel Rescue( NESSR) even though he's a Working Cocker and not a Springer at all! He'd had a pretty bad start in life. Having failed as a gundog, he was taken to the vet to be PTS before, thankfully, finding himself in rescue. His rescue profile said he needed an active home and would suit agility. 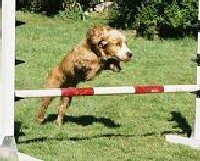 I'd never even heard of agility but thought 'Why not give it a try?' And so our story began. Wisp is eight years old and has been with me for four years. We have been competing for the last two years. Despite being diagnosed with Addisons disease in May 2013, he has gone on to surpass any expectations I may have had. I worried that he wouldn't cope with agility after his diagnosis but the wee man proved me wrong. He absolutely loves agility. He must be one of the smallest 'Large' dogs out there, but he tries his heart out and still likes to give the collies a run for their money. He competes in Grade 4 and is consistently placed in the top 3. Skye came from Bandeath Stray Dog Shelter at approximately six months old in 2009. We don't know any history, but we assume she was there for the usual reasons collies end up in rescues. She was very friendly but also very active and had no training. It became evident that I was going to have to find something to do that would tire her mentally as well as physically. I had never heard of dog agility but someone put me in touch with a local trainer and quite quickly it became obvious that this was Skye's 'thing.' Turns out I enjoyed it, too, and together we have never looked back. I consider myself very lucky to have a dog like Skye. She always puts in maximum effort at training or competition and has great enthusiasm for any form of interaction. She isn't perfect but neither am Ii so I can live with her eccentricities if she can live with mine. The fact I have been able to give a rescue dog a full life is an extra bonus for me. I hope we have many more years competing together. 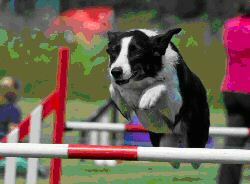 As of 2013, Rescue Agility Scotland will be running both an Annual League and a Final as two separate events. The Rescue Agility Scotland Administration Team will decide, from one year to the next, how many dogs from each size category will be invited to the Final. Points are awarded for places and clear runs achieved at agility competitions during the League year, and it is the responsibility of handlers/owners to claim these points on the Rescue Agility Scotland website. At the end of the League year, the three perpetual trophies will be presented to the highest-scoring partnership in each size category. The winners will keep the trophies for a year, and a plaque carrying the names of the winner will be added to each trophy. All trophies and awards for the Annual League will be presented to the winners at the at Woodside Spring Show on Sunday, 5 May 2013. We are keeping the registration fees the same for 2013 – they are £3 for the first dog and £2 for each subsequent dog belonging to the same handler, and are payable by 31 July if you are an existing member. After this date, any existing members who have not paid their fees will be deleted from the 2013 points table. 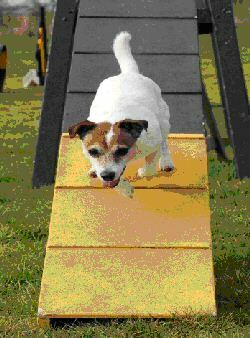 As before, all monies will be used to improve Rescue Agility Scotland in general, to purchase trophies and, to fund an annual final. We have also made a few changes to the rules for 2013, including that all payments must be made within 14 days of registering online. Please read the updated rules as there are some significant changes. The latest day-to-day news can always be found on the Rescue Agility Scotland Facebook page. The 2013 rules can be found below and are available on our website. RAS are delighted to congratulate its League winners for 2012. Firstly, can we say thank you all so much for your continued support of RAS. Without you all we could not continue to run the League and now also the Final. Whether you receive a Trophy or not we really feel that each and every one of you deserve congratulations for taking on a rescue dog in the first place. The Presentation to the winners will take place on Sunday, 5 May 2013, during the lunch break at Woodside Spring Show. Thank you to Woodside DAC for allowing us to do our presentation at their show. This year, we will be holding the very first Rescue Agility Scotland Grand Final, and we hope that our members are as excited about it as the Administration Team. All the invitations have been sent out and the response has been phenomenal. Thank you all for supporting this wonderful new event. All our finalists have now responded and we are now more confident than ever that this will be a fantastic showcase for rescue dogs in agility. We can only hold our Final with the very kind and generous help of Clyde Valley Agility Club, and the event will be held at their summer show on the evening of Saturday, 6 July 2013. The format of the Final will be a single run over an agility course set by our honourable Judge Ms Helen Glass and will be judged in accordance with current Kennel Club rules. All dogs, regardless of grade, will be running the same course with the categories for awards divided into Small 1-4 combined, Small 5-7 combined, Medium 1-4 combined, Medium 5-7 combined, Large 1-4 combined and Large 5-7 combined. We will also have a 'Special Partnership' prize kindly sponsored by Islay Dog Rescue and chosen by our judge nd will be presented to a dog/handler partnership which our judge feels has an extra special bond. We are really very excited about this event - we feel it is a big step forward for the promotion of agility dogs and a fantastic way to showcase to Scottish agility just what a rescue dog can do. We hope you will all be as excited as we are and join us in making our very first Final a wonderful and memorable event. There will be keepsake trophies for 1st place, and rosettes for the top 10% in each size category. Because we decided to give members until 31 March 2013 to claim points for places and clear runs achieved in 2012, it is now impossible for us to update the website by adding a points table for 2013 until after this date. This was an oversight on our part when we set up the online point’s submission system. To avoid similar problems in the future, we are changing the deadline for claiming points as of 2013. Consequently, the latest date by which points can be claimed for places and clear runs achieved in 2013 will be 31 January 2014. We apologise for any inconvenience this may cause, and hope that you will bear with us while we learn how best to run Rescue Agility Scotland. We will notify all our members by e-mail as soon as the 2013 point’s table is up and running. Points for the League and Grand Final may be collected between 1 January 2013 and 31 December 2013. All points must be claimed by 31 January 2014. To register as a new member of Rescue Agility Scotland, please visit the Rescue Agility Scotland website , select the New Members Registration option on the left of the screen and enter your details. You can then add your dog/dogs to your account. Fees can be paid via the ‘Make a Donation’ button on the website. 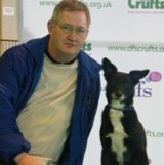 The membership fee for 2013 is £3 for the first dog and £2 for each subsequent dog belonging to the same handler, and all fees must be paid in full within two weeks of the date of registration. Existing members do not need to re-register on our website since their names and the names of their dogs will be automatically transferred to the following year. 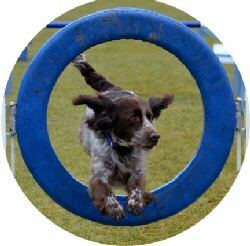 To remain members of Rescue Agility Scotland, existing members must, however, pay the membership fee by 31 July 2013. If the membership fee is not paid by this date, the name of the member and his/her dogs will be deleted from the points register. Existing members of Rescue Agility Scotland are responsible for making any changes to their dog(s) grades on their account when the point’s table for the current year becomes available on the Rescue Agility Scotland website. They are also responsible for informing Rescue Agility Scotland of any changes to their contact details. Points can be claimed from all agility shows, including non KC-licensed events, provided that the schedule for the show has been made generally available to agility competitors via any of the usual channels (Agilitynet schedules page, Agility Addicts forum, Facebook, club websites). Points cannot be claimed for club matches, leagues, competitions limited to specific groups of handlers (e.g. juniors), or fun days where the schedule has not been made generally available. When claiming points please do so using the ‘Add Points’ option on the Rescue Agility Scotland website. It is the handler’s responsibility to keep an accurate record of shows, dates, classes and places for which the points are being claimed. The Administration Team reserves the right to examine the records of any dog registered with Rescue Agility Scotland. The Administration Team also reserves the right to determine whether a show is eligible, as per rule 3. Points may be claimed to 20th place or to the lowest place for which a rosette is presented by the show organiser, whichever comes first. Only clear runs within the course time are eligible for points. Points can also be claimed for unplaced clear runs, even if clear run rosettes are not presented by the show organiser. Points can be claimed for all standard singles classes, including KC Championship qualifying rounds (not the Final), Helter-Skelter, Power & Speed, ABC, BC, Steeplechase, Veteran dogs and Any Size classes. Points can also be claimed for places gained in TFO, Down & Out, Gamblers and Snooker, but not for clear runs in such classes. Where two sets of results are generated for a class, e.g. classes which may also act as a qualifier for the CSJ Highland Stakes for some grades of dogs, points can be claimed for all places, be they in the ‘normal’ results or those for the qualifying heat. Points cannot be claimed for Pairs, Team, Junior/Senior Handler and Pay-on-the-day classes. Points are claimed for the dog, not the handler, so points can be claimed even if the dog is handled by several different people. The dog will remain in the category/level it starts the year in until the end of that same year. The three perpetual trophies for Small, Medium and Large dogs, the Best ABC, Best Gundog and The Extra Mile trophies, as well as any other perpetual trophies donated for the Rescue Agility Scotland League, will be presented at the Woodside Spring show. Dogs from any height category can qualify as the winners of the ABC and Gundog trophies. The Extra Mile Trophy will be presented to a person or organisation that is based in Scotland who has made a very special effort to help rescue dogs. The winner does not necessarily need to be actively involved in agility. However, only fully paid-up members of RAS can submit nominations for the trophy. All nominations must be e-mailed to rescueagilityscotland@gmail.com by 31 March. The first year of Rescue Agility Scotland has come to an end. It has provided a lot of information on the rescue agility scene in Scotland which can be used this to make some changes and to set up an internet-based points submission and registration fee payment system for the convenience of our members. Kerstin McDonagh said, 'We would like to thank everyone who enquired about the league and supported us in 2011. Without you, Rescue Agility Scotland would still only be an idea bandied about by Dawn and myself. Special thanks must go to the co-sponsors of our first three perpetual trophies - Denise Clayton (Vynor Trophy), Dawn Greer (Remembrance Trophy) and Trudi Davidson (Goatbrae Trophy) – as well as to Vicki Watmore for donating the trophy for the Best Gundog (all sizes) and Dumfries & Galloway Canine Rescue for donating the Extra Mile Trophy. The final date for submitting points for the 2011 RAS League was 29 February. After this date, the results will be compiled and the winners announced. The first awards presentation will be held at Woodside Championships show on 5-6 May. For more information on this, please join us on Facebook or visit the Rescue Agility Scotland website. Here you can also find out more about how to nominate someone for the Extra Mile Trophy, the new ABC trophy, rule changes and new registration fees. If you have any questions, you can also contact us on rescueagilityscotland@gmail.com.